Clark Commercials is Scotland's leading independent commercial vehicle dealer and specialises in the sale and servicing of Volkswagen, Renault, Dacia, Peugeot and Nissan commercial vehicles across the east coast of Scotland. We also provide a selection of non-franchised makes and models both for purchase and rental. Aberdeen and Edinburgh are our New Vehicle Sales Centres. Choosing the right new commercial vehicle for your business is an important decision. Whether you are a sole trader or a fleet manager responsible for a large number of vehicles, the staff at our commercial vehicle dealers can help you choose the right vehicle and funding method that suits the individual needs of your business. From the award-winning Amarok to the popular camper van, the California, Clark Commercials has the full range of commercial vans available for purchase or rental. You will find some great offers across our complete range, meaning you're sure to find a deal to suit your needs and budget. At Clark Commercials we take great pride in delivering a premium level of customer service alongside high-quality motoring. As a manufacturer partner for Renault, Peugeot, Dacia and Nissan we are able to stock the very latest new van range available to the UK market. Our modern workshop is equipped to service and maintain any van up to 7 years old. To find out more about Clark Commercials and the products and services we can offer please do get in touch. 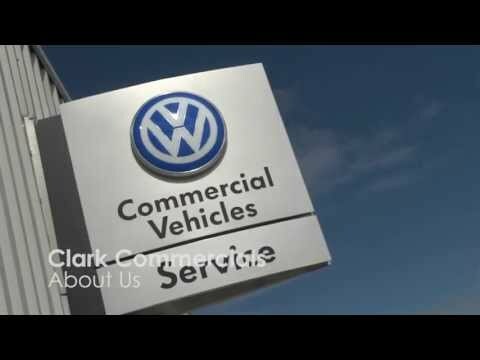 Please note Clark Commercials Dundee is a Volkswagen Specialist Service Centre and Used Van Centre only.